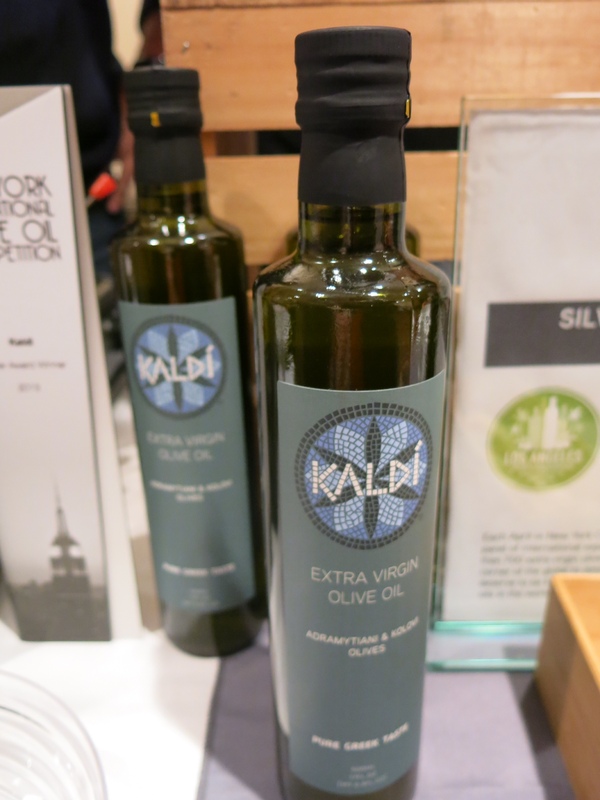 Kaldi Extra Virgin Organic Olive Oil : This organic olive oil had a fresh olive taste with a little bite, perfect for drizzling over salads. 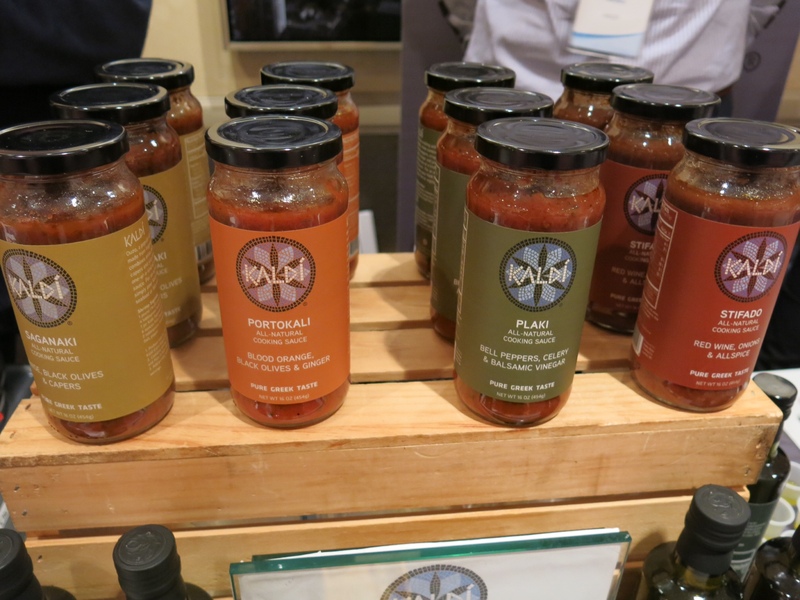 Kaldi also offers spice mixes in authentic Greek flavors, great for at home chefs. 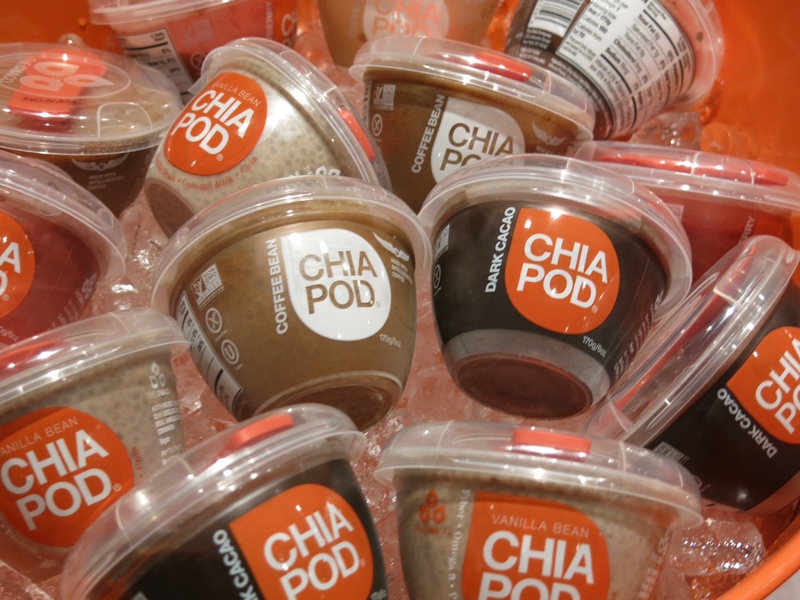 Chia Pod – The perfect healthy snack for people on the go! 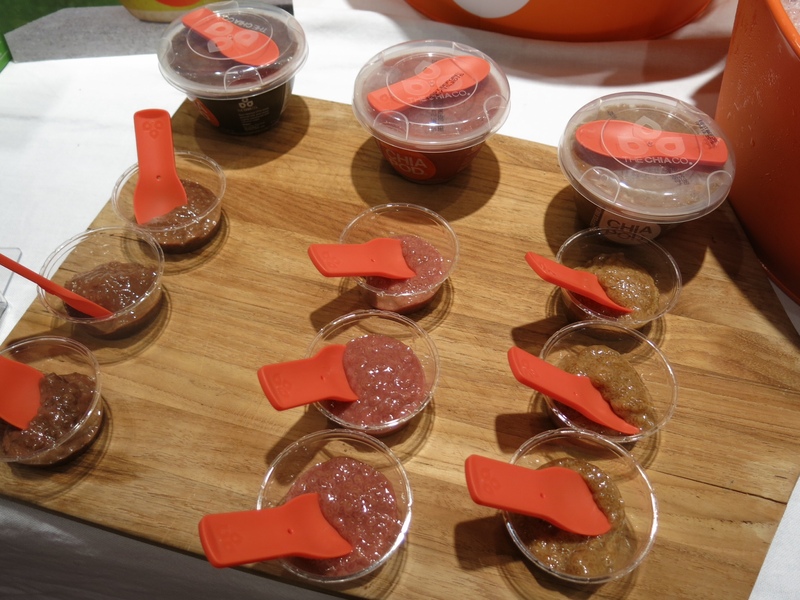 Chia pudding packs were delicious with only a few ingredients and no sugar. Available in different flavors. I tried Coffee Bean, Dark Cocoa, Vanilla and loved it! 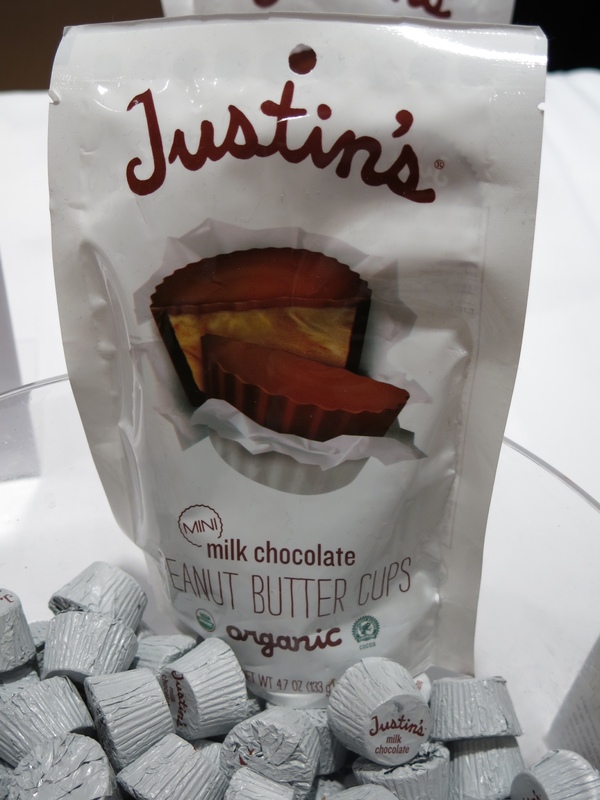 Justin’s All Natural Nut Butters – I’m a fan of Justin’s Peanut Butter Cups and was happy to learn they also offer creamy nut butters. I absolutely love nut butters. 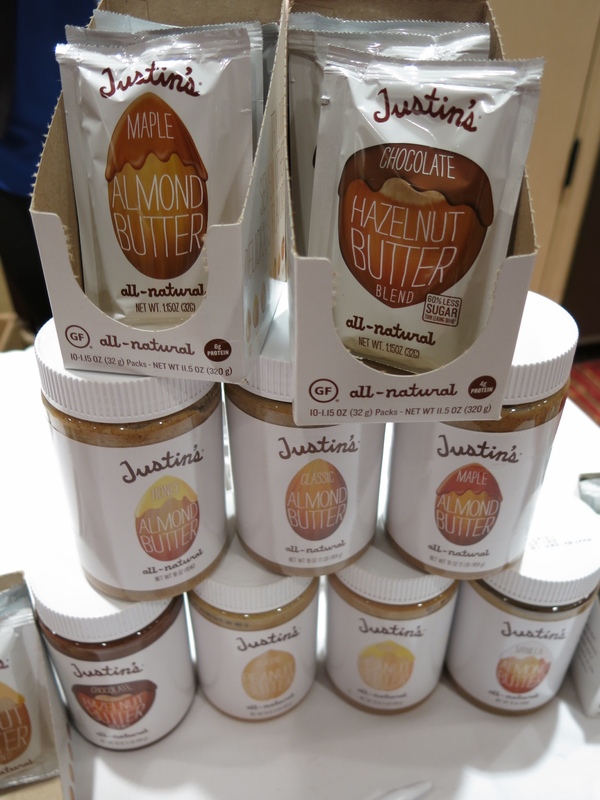 I tried their Maple Almond Butter and Chocolate Hazelnut Butter and could picture myself scooping spoonfuls of the stuff into my mouth…yum! 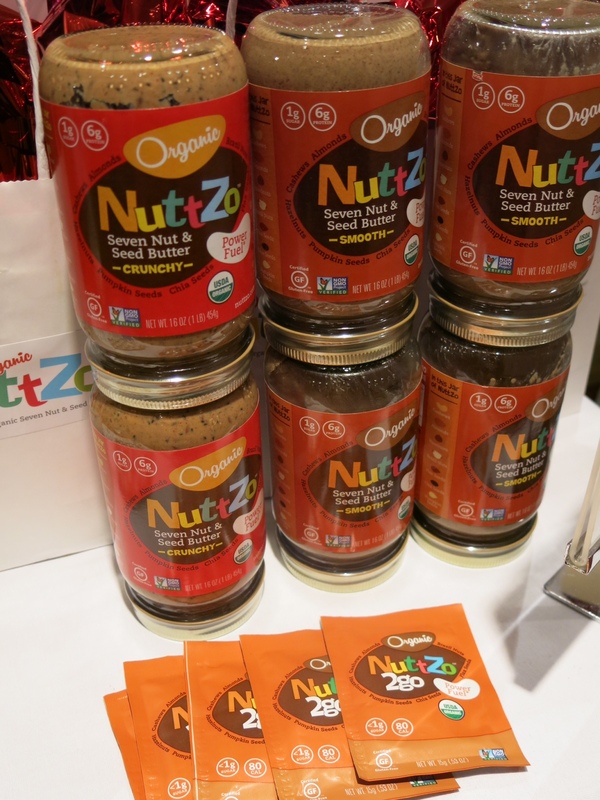 Nuttzo Organic Seven Nut Butter – This was a new brand for me and it was such a treat to taste of the organic non-GMO seven nut butter which is made with all organic roasted nuts: peanuts, cashews, almonds, flax seeds, brazil nuts, hazelnuts, sunflower seeds, sea salt. The benefit is getting the many nutrients from the different ingredients. 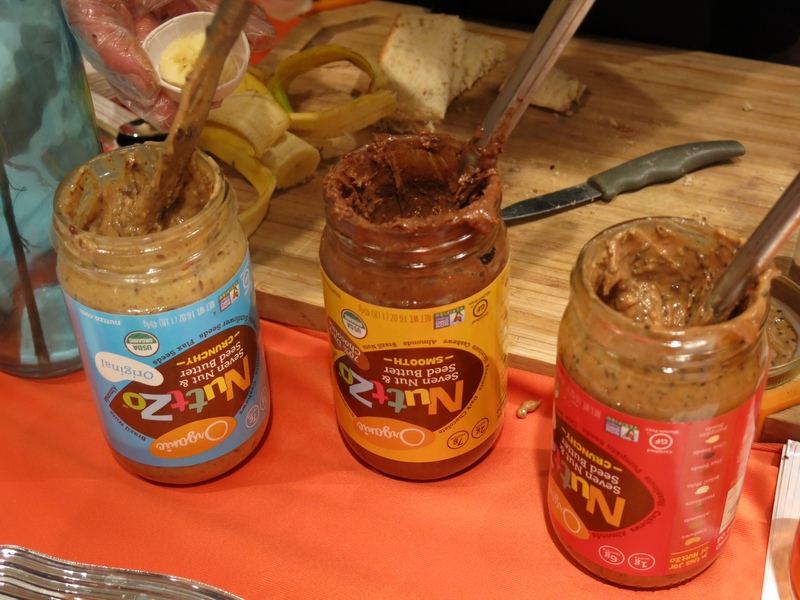 The 7 nut butter is available with chocolate as well as creamy or crunch textures. They also have to-go packs! 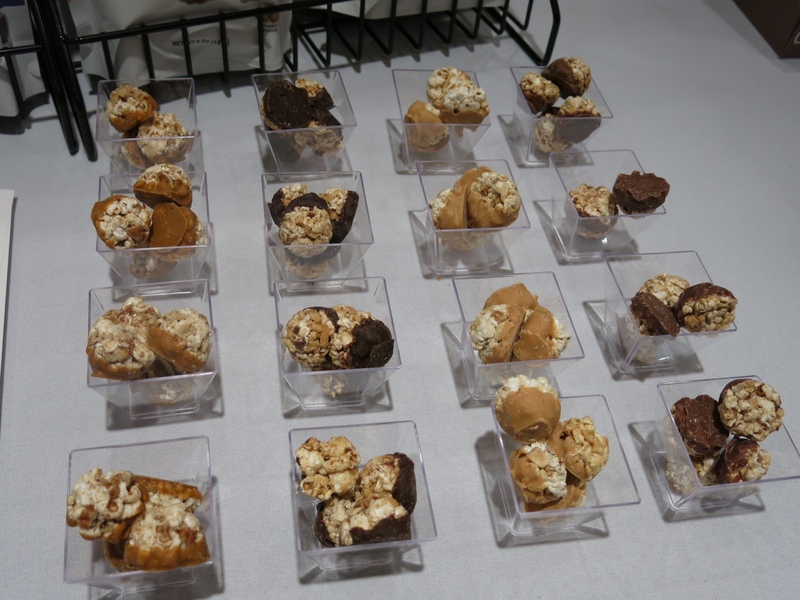 Nut Exactly Snack Bites – A unique snack made of popcorn and nuts and dipped in chocolate. My favorite flavors are Almond/Blueberry/Dark Chocolate and Pecans/Popcorn/Salted Caramel. As you can imagine, it was difficult to stop eating! Orchard Valley Harvest Almonds – Now available in convenient travel packs, a great natural snack! 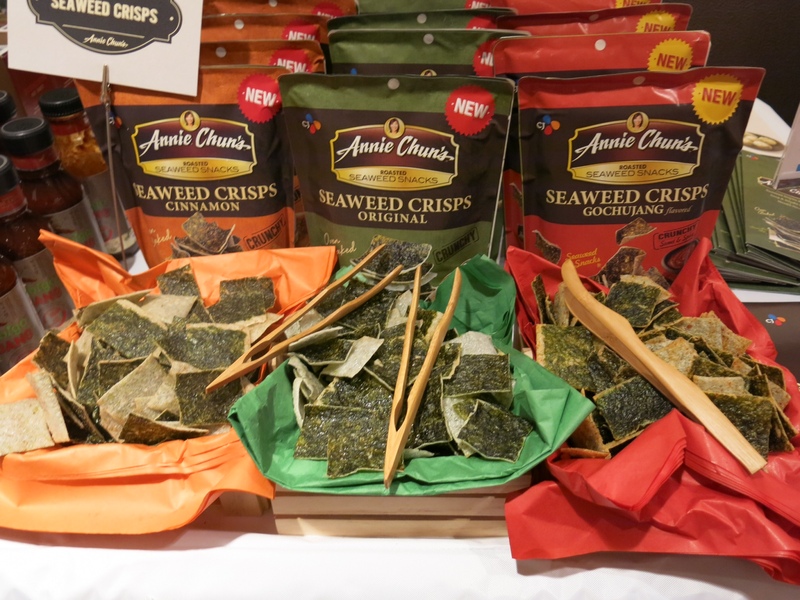 Annie Chun’s Seaweed Crisps – These seaweed snacks were delightfully crispy and flavorful. I actually prefer eating these to potato chips! Made with rice flour and seaweed which is naturally packed with omega 3, this is much healthier alternative to potato chips!